For over 25 years, Rex Distributor, Inc. has grown to dominate the wholesale world of knives, swords, sporting goods, and other self-defense items. Rex International has got your T-shirt department covered. 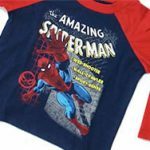 The international wholesaler carries branded T-shirts from globally recognized companies including Budweiser, Coca-Cola, Ford, Chevy, and Marvel Comics, for wholesale distribution according to Mani Sakhari, sales manager for Rex. The sport of hunting is taking off, and Rex Distributor Inc. is ready with a huge variety of crossbows, bows and arrows, knives and sporting goods. With 25 years in the business, the company has its finger on the pulse of what customers want.